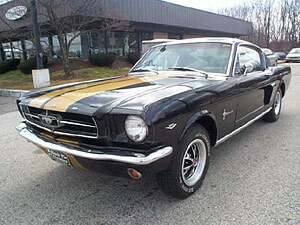 1965 FORD MUSTANG, This one of the most sought after cars in the world ...... stored since 1980 A 1965 Mustang Fast Back A code 289 Engine, 4 barrel, dual exhaust and 4 speed with rally wheels. 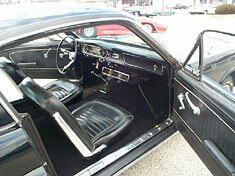 Power steering and Air Conditioning. All Black in and out. This is an outstanding original car that is very rare. 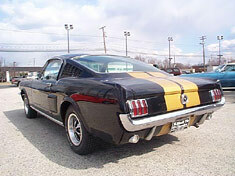 Mustang fastbacks are the MOST sought-after cars on the net presently.....This example is a GT 350 HERTZ clone done in the original Hertz colors with the correct stripes and the side brake duct scoops.